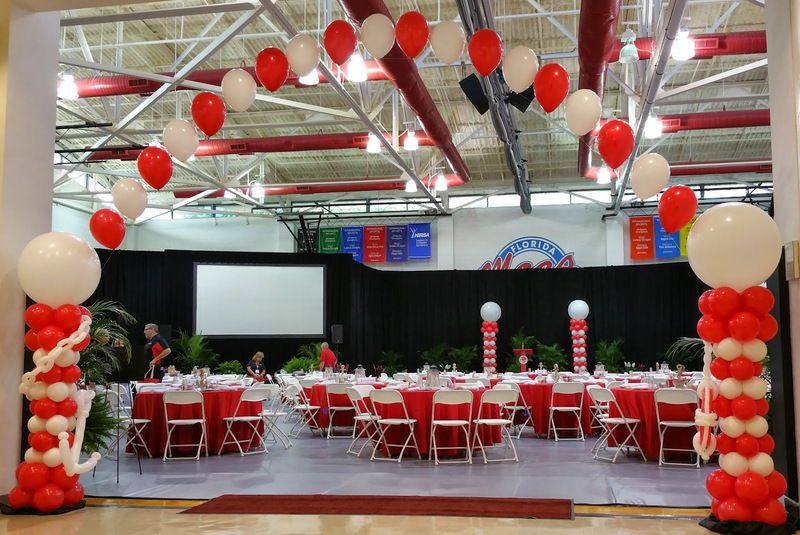 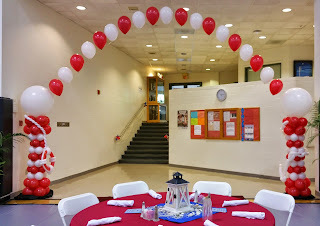 This year the college had a travel theme for the luncheon festivities. An alumni provided the centerpieces and Party People Created some nautical themed accents for the entrance arch to set the mood as Alumni entered the Wellness Center. 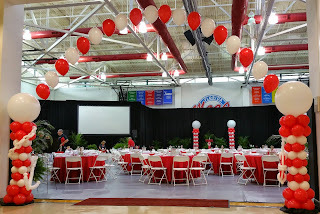 Wellness center before Balloons. 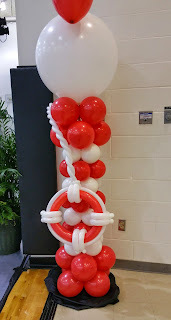 After custom balloons by Party People! Anchor accented Column was a huge hit with Alumni and college staff! 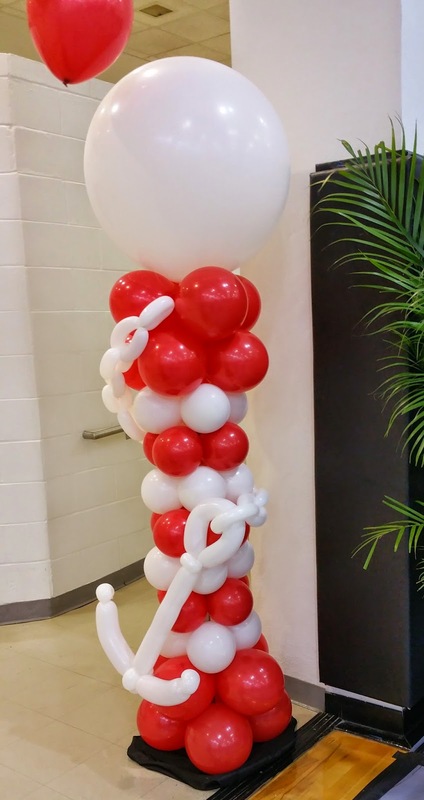 Call 1-800-752-3650 ext 2 to have Party People Create decor for you!